Woodland Heights is arguably the premier neighborhood in the Heights. 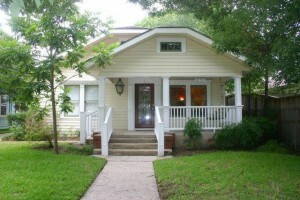 This neighborhood is next to Houston Heights and part of Greater Heights. See my Interactive Heights Map to see how they all fit together. Woodland Heights Homes are Deed Restricted. 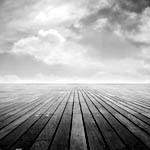 They are restricted in lot size (so single lots generally cannot be subdivided) and restricted to residential use. Therefore you don’t have two tall skinny houses packed onto a single lot; nor do you have warehouses, etc., scattered throughout. This gives the area a more uniform feel. The Heights has several Historic Districts. 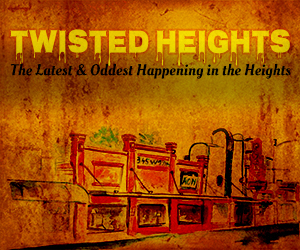 Woodland Heights is now one of them. The map had to be gerrymandered a bit to exclude the blocks that didn’t sign the petition. Adjacent to Woodland Heights is another recent historic district, Germantown. It is between Houston Ave. and I-45. 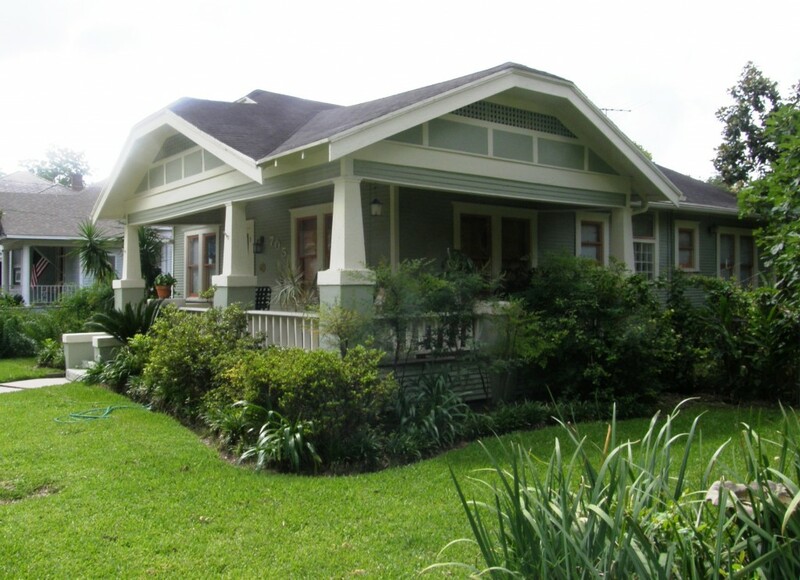 Craftsman style homes predominate. 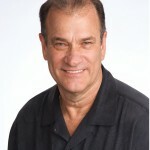 This is because of the age of the subdivision. 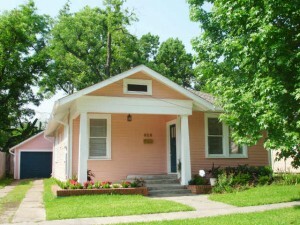 Whereas Houston Heights was developed in 1890’s, Woodland Heights began in 1907. 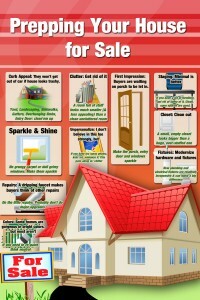 There was a huge change in house styles during these two decades. 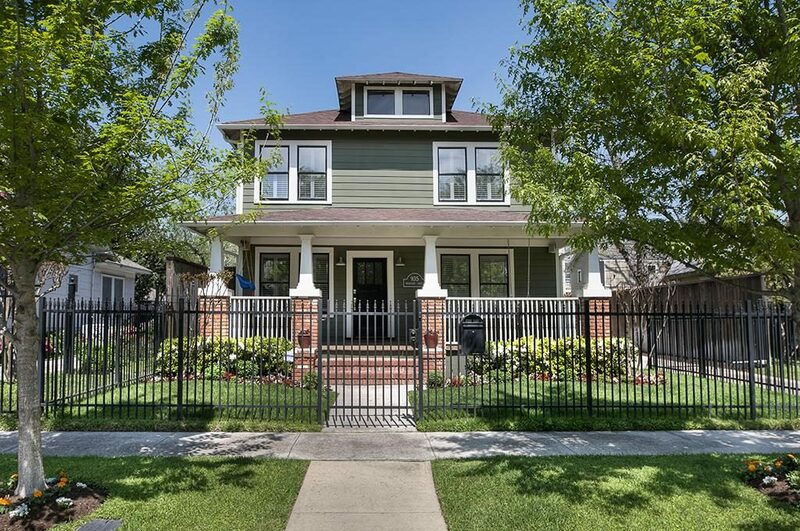 The big Victorian homes gave way to simpler, less fussy Craftsman style homes. 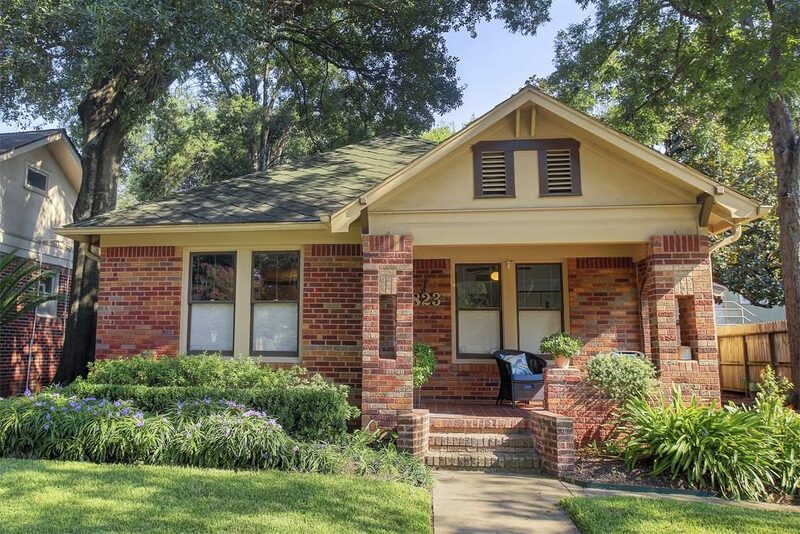 The predominant house style in Woodland Heights is the one story Craftsman bungalow. There are of course, a lot of bigger homes, some Victorians, but mainly derivatives of the Arts & Crafts style. Craftsman homes have more horizontal lines, overhanging eves with exposed rafter tails, big porches (to merge indoor and outdoor living) with simple square columns. The Victorian was the opposite; tall vertical lines, lots of extraneous decoration and ginger bread; turned columns, turrets. More elaborate. Drive down Bayland St in Woodland Heights and compare the Arts and Crafts style with the Victorian homes lining Heights Blvd. 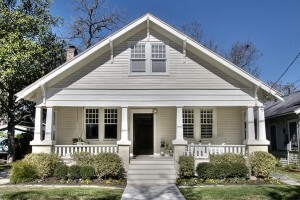 A larger early Craftsman style home is shown below. 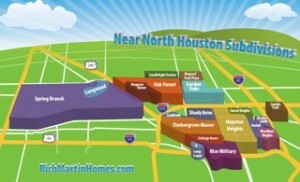 Woodland Heights is across Studewood form Houston Heights. The boundaries covered by the Civic Association are roughly between Studewood and I-45. The North-South boundaries are Pecore St and I-10. Woodland Heights encompasses a lot of smaller subdivisions too. The attached pdf map shows many of these. 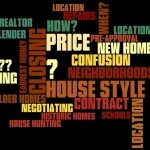 Woodland Heights MLS Home Search. 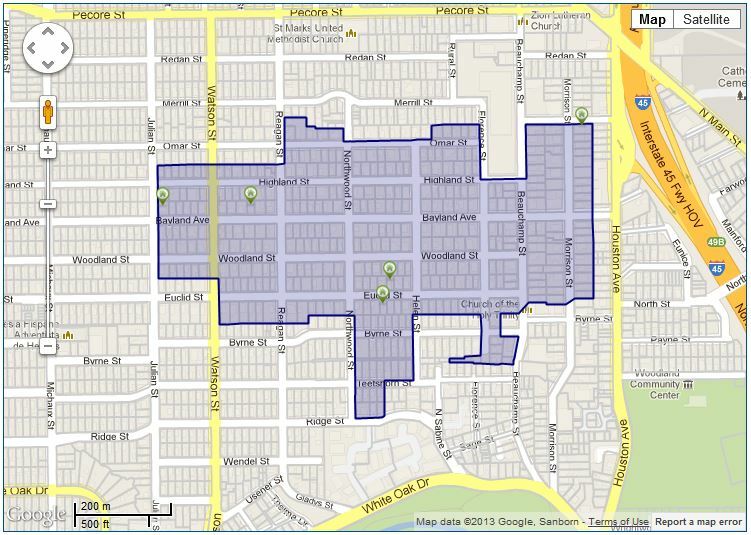 Woodland Heights is a complicated neighborhood with several smaller subdivisions included. This search will pull up most of the homes. A map search is better; let me know if I can send that to you. A very strong Woodland Heights Civic Association and neighborhood pride has made the area a very desirable neighborhood. Home Tours and Garden Tours highlight our homes. The annual Christmas event of Lights in the Heights draws 1000’s to walk the streets on that one night and view the decorated homes, complete with dance groups, music on porches and more. The event was getting out of hand, so is now being scaled down some. Buses bringing in people was just too much for this little neighborhood. Lots in neighboring Houston Heights are typically 50 x 132 ft with alley access. These lend themselves to splitting the lot and building two tall skinny homes with the garage in back. Woodland Heights does not have alleys, and the lots are typically 50 x 100 feet. Deed restrictions typically prevent them from being split and without an alley, front-loading homes would REALLY be frowned upon. So, when these homes are demolished, or renovated and expanded, they build up and out. Because a driveway is needed (no alley) porte-cocheres are popular. Travis Elementary (like Harvard Elementary in Houston Heights) is an exemplary school and people will pay a premium to live in that school zone. 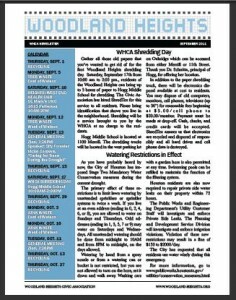 Civic Association:Yes, WHCA is very activeactive. Deed Restrictions: Yes, min lot size is strictly enforced. Lot Size: Typically 50 X 100 with no alley access. Townhomes: A few older condos/townhomes on the fringes. No new.. Rentals: Rents here are high, about $1.50/SF/month. Thus 1200 SF is about $1800/mo.